Glenview Elementary School’s second grade scholars recently researched animal reports as an extension to units of study in Benchmark/Adelante Language Arts curriculum. 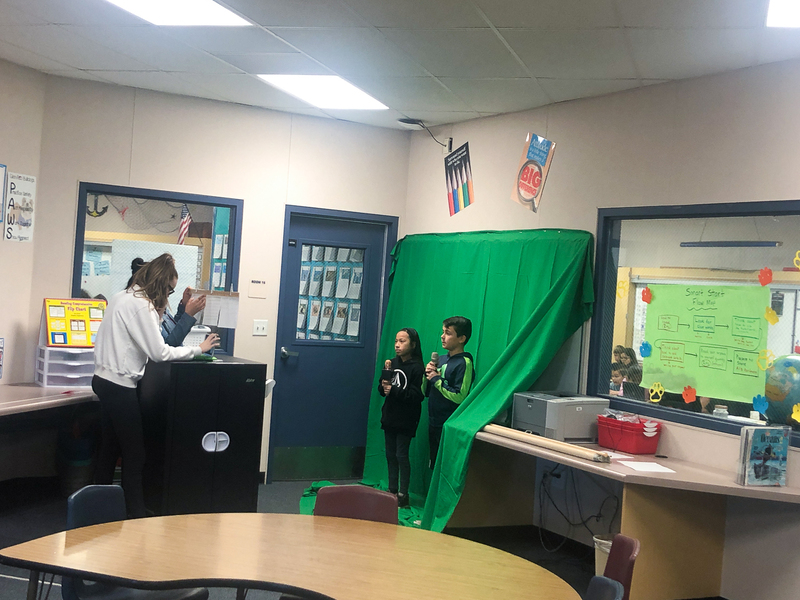 Then, the young students used technology enhancements with the help and support of Esperanza High School teachers-in-training in the Aztec Bulldog Connection (ABC) program to make their reports come to life. High school juniors and seniors participating in the Teacher Pathway at Esperanza travel to Glenview to support classrooms three days a week during first and second period. Teachers in training assisted second grade students in recording oral reports on specific animals and habitats. Together, students learned to use a green screen learning app by “Do Ink” to display live visuals of the animal in student-created videos. Way to go, Aztec Bulldog Connection! Be the first to comment on "Glenview Elementary students receive assistance from Esperanza Aztecs in creating academic video reports"